You’ve probably heard everything under the sun when it comes to the eternal truths about cars from your family members, friends, and neighbors. Car Engine That Runs On Water For Fuel? Yes, But Do Your Research! Make sure to give your car a few minutes to heat up before braving the winter cold. The more colorful the car, the higher the insurance. Police cars are faster than regular cars. Well, it’s time to figure out which of the truths about cars you grew up with in your childhood are actually true. You can’t discount them immediately. There’s always something, if only partially, true about myths. And this rule certainly applies to myths and truths about cars you heard growing up, even well into your adulthood. Here are the 20 truths about cars you should know about. 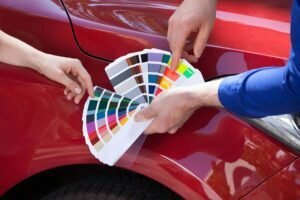 Whether your car is electric green, hot pink, lightning yellow, or platinum silver, rest assured that the color of your car does not affect your insurance rate. According to a research done by PPG in 2015, nearly 74% of cars on the road in North America are white, black, grey, or silver with only about 17% of the others straying from these conservative colors in reds and blues. While it may not affect your insurance rate as much, the color of your car does increase your chances of it getting stolen. Car thieves typically choose which cars they want to steal based on their ability to go unnoticed. According to a survey by CCC Information Services, the top five colors of vehicles stolen in 2014 were silver, white, black, gold, and dark green. If you drive a car of this color, be sure to stow all of your valuable items in the trunk or not in plain sight as this is what tempts most car thieves to break into your car in the first place. Also, park where there are lots of other people and in well-lit areas. Avoid leaving spare keys in known areas around your car. Rust proofing depends on a few factors, but generally, it is not needed every year. The first and most important factor are the weather conditions where you live. If you live in a city where the weather doesn’t fluctuate as much such as the San Francisco Bay Area, then rustproofing may not be necessary. However, if you live in a region where you have four seasons and get a lot of snowfall such as Boston, you may need to reconsider this logic. Generally, however, auto dealerships use services such as rust proofing as a way to make up for the low profit margins on the sale of their vehicles. In other words, if you live in California or other places with stable temperatures, keep calm and do not rust proof. While this sounds more like a science project for elementary or high school students, it’s also quite possible. You can, in fact, run your car engine on water for fuel. To create your water-burning hybrid, you’ll need to make a DIY electrolysis cell under the hood of your vehicle. 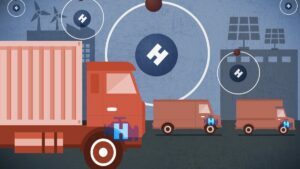 In simple terms, you’ll need to create controlled electrical power for your car using hydrogen and oxygen. Then take electricity from your car’s electrical system to electrolyze the water into a gaseous mixture of hydrogen and oxygen, often referred to as Brown’s Gas, HHO, or oxyhydrogen. The mixture should be in a ratio of 2:1 hydrogen atoms to oxygen atoms. You can then pipe this mixture into your gas tank and watch your savings increase by anywhere between 15% to 300%. Let’s say you’re road tripping and halfway through your travels you see the small light on your dashboard pop up, indicating that your gas tank is close to empty. If you’ve tested your car on an empty tank before, you’d know that you have quite a few more miles to go before you really need to fill ‘er up. While the numbers typically vary depending on the model and make of your car, you should have at least 30 miles to go before you really need to hit the gas station to avoid running your car on empty. Here is a useful chart on the different models and makes of cars and how many more miles they have when the low fuel warning light is triggered. Two people get into a car accident. One driver owns a Hummer H2 and the other drives a Honda Civic. Who do you think fared better in this accident? 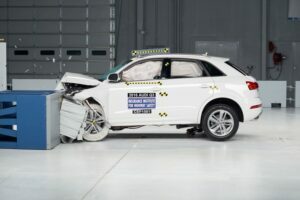 While it may seem like a no-brainer that larger cars are safer in an accident than smaller ones, the difference between larger and smaller cars in terms of safety is not as large a gap as it once was. Today, newer car models have improved safety features such as automatic emergency braking (AEB) or blind spot detection that weren’t available 20 or 30 years ago. However, a larger car may still fare better in an accident in terms of the amount of damage it incurs over the smaller car. Whoever passed on this tidbit of advice did know their truths about cars. According to the Environmental Protection Agency and Energy Department, it is true that cars get worse fuel economy when it’s cold outside — they are at least 12% less fuel-efficient. This is especially true for old cars that relied on carburetors — a device that mixes air and fuel for internal combustion engines — as a crucial engine component. However, as early as the 1980s and early 1990s, the auto industry traded the carburetor in for the electronic fuel injection system, which uses sensors to supply fuel to the engine to achieve the correct air and fuel mixture. Today, with the electronic fuel injection system, experts say that you only need to warm up the car for no longer than 30 seconds as the car will warm up faster while it drives. Most experts say idling the car in the winter only wastes fuel and gives off greenhouse gas emissions harmful to the environment. 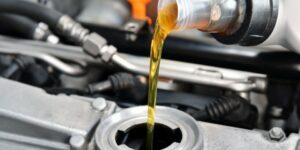 If you’ve been driving your car for a long time, you’ve most likely heard that changing your engine oil once a year or every 5,000 km is a cheap way to save on insurance or extend the longevity of your car. 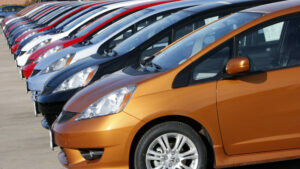 While this may have been true with older car models and makes, cars are more efficient today. Most automotive manufacturers call for oil changes at either 12,000 km or 16,000 km and some can even go as long as 24,000 km without being changed, according to Edmunds. Instead, listen to your car when it’s ready for an oil change. Yes, the warning signs and your colleague’s insistent advice on how topping off your gas tank is not beneficial to you at all are warranted in this case. Firstly, it’s important to you as it is not only a waste of money, but a waste of gas as well. When you hear the first click signaling that your gas tank is full, any excess gas you try to pump into the tank will simply go back into the hose. However, the station will still charge you for the extra gas you tried to collect. 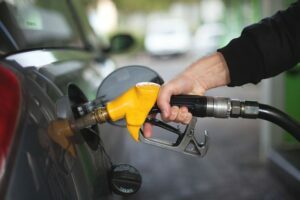 Most gas stations are built with a v​​apor recovery system, which will pull extra gas that you try to pump into your car back into the station’s tanks instead. It is a safety precaution to ensure that excess vapors do not escape into the atmosphere. When you hear the click, close up the tank and drive on home. You’ve probably heard that the high-octane fueling option will improve your car’s durability and overall performance, helping you to make less trips to your insurance company. 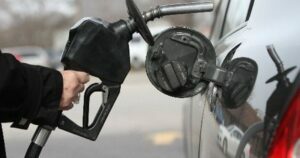 However, the U.S. Federal Trade Commission claimed that high-octane fuel will not clean your engine better than the lower-grade octane. 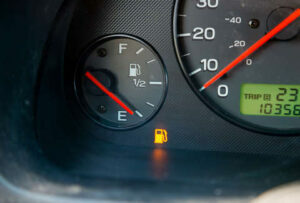 In one instance, a car designed to run on regular octane fuel actually lost power when filled with high-octane fuel. Perhaps the most important truths about cars you can take away are the sounds, sights, smells, and feel of your own car. If your car is making a strange sound, you probably need to take it to a maintenance shop or take a look at it yourself. You need to listen to your car’s needs. It’s there that you’ll really know the truths about cars.